Thank you very much for the interesting talk on Tuesday morning. 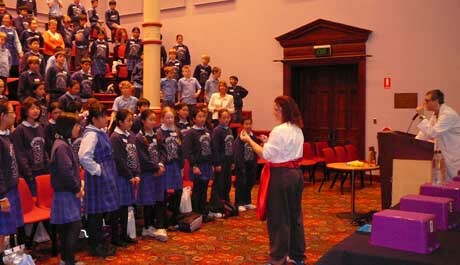 Your efforts were very much appreciated by the girls and the staff as later discussions revealed. The water divining way to demonstrate a ‘double blind’ trial was excellent and made it very clear to the girls. And nothing beats a good dose of ‘magic’ spoons to get them hooked! We hope you are still in business next year so you can come again to our next Year 10 group. 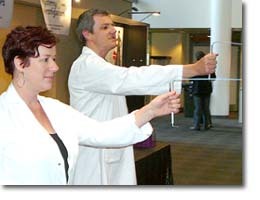 Starring Richard Saunders from TV's "The One"
and a team of science performers. 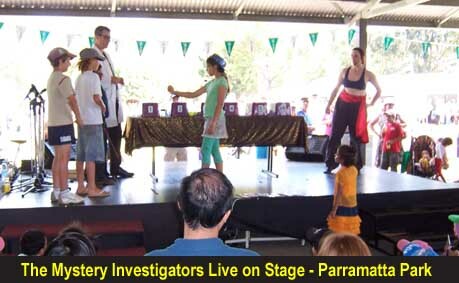 Since 2003 the Mystery Investigators have taught thousands of students how to use science to unlock the secrets behind the strange and mysterious in a fun and interactive show. 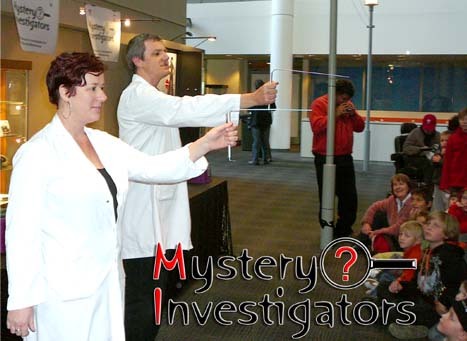 The Mystery Investigators had a wonderful time at the Australian Museum performing for many schools during Science Week in 2017.